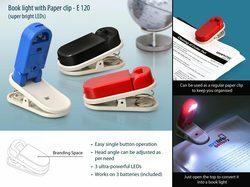 - A very handy and compact book reading light which lights up automatically as soon as it is opened. Owing to our in-depth knowledge of this domain, we are specialized in providing Book Light PU Flyer. 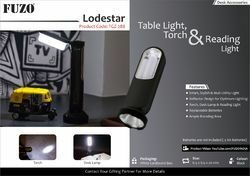 - Battery Life : Rechargeable lithium battery provides upto 5-6 hours of light on one single charge. - Magnet : Magnets are built into the wood covers to maintain portability and flexibility. - Power : Easily charge via micro USB from any USB charger. The light can be turned on while it's charging.